If you are planning an active holiday and would like to capture those sweet summer memories in the highest quality you can get, you need a good 4K action camera. Online stores from China offer a huge selection of 4K recording equipment with features like image stabilization, a wide-angle fish-eye lens and a waterproof case. So if you’re in for a hunt for a sure-fire action cam that you can count on, we recommend the latest Hawkeye Firefly 8SE camera, available at a promotional price on GearBest, Aliexpress and eBay. Hawkeye Firefly 8 SE is the second, improved edition of the older version of this camera from 2017 and it has completely revamped hardware, while maintaining the same design and cover. Instead of outdated Novatek NTK96660 chipset, you’ll find here fast performing Ambarella A12S75 image chip, used in Xiaomi and GoPro action cameras, which guarantees smooth recordings and no frame skipping. Most of all, it’s fast enough to allow full 4K (3840 x 2160 px) resolution, which is twice as much as in previous edition. Proven IMX117 SONY sensor provides pleasing sharp images and perfectly captured details, and an additional lens filter reduces purple glare by 50%, reducing “out-of focus ghost” effect. Dynamic shots look even better thanks to electronic image stabilization. EIS also allows better quality in Time-Lapse, Slow down, Long Exposure and other special modes for shooting artsy videos. Video preview is available on a two-inch screen with a resolution of 320 x 240 px that has smartphone-class responsivity and easy-to-use UI with swipe support. Controls can be also facilitated by a small, wireless Bluetooth remote control, which is especially useful when you can’t reach for camera or if just want to take a quick pic while on the move or to make a selfie. Videos are stored on MicroSD card up to 128 GB big – and a high speed card is recommended if you will record in 4K. Fast WiFi provides instant file transfer and Hawkeye even provides a dedicated application that will allow you to quickly share and upload your recorded videos to social media. 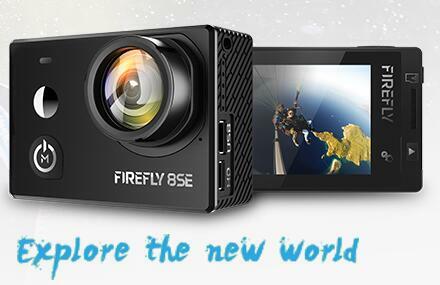 The Firefly 8SE has a completely waterproof casing and can withstand water pressure up to 20 meters. But it will suit you not only when diving. It has a port for an external microphone, so you can use it in to conduct interviews or record a video blog. Loop recording mode automatically erases old files, so you can fit it into your car as a dashcam, increasing driving safety and providing evidence in unfortunate accidents. Potent 1200 mAh battery allows approximately one hour and 20 minutes of video recording in 4K, or a bit more in other modes, and charges fully about 2.5 hours. This cell is replaceable, so you can always change it in case it wears off. 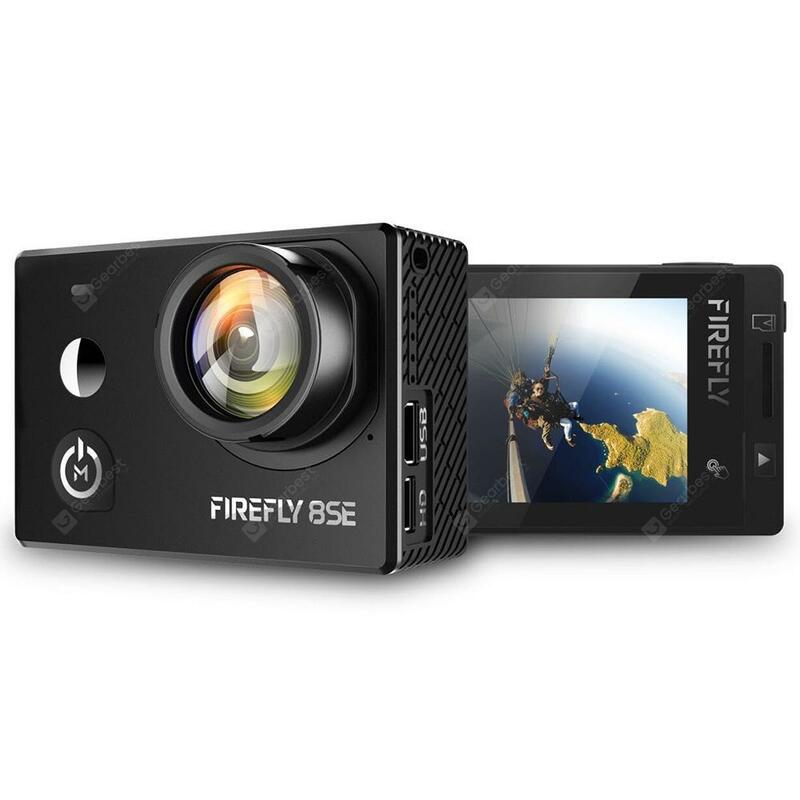 The second edition of the popular Firefly 8 camera is even better and has a faster chipset, providing clear, eye pleasing and smooth 4K videos. 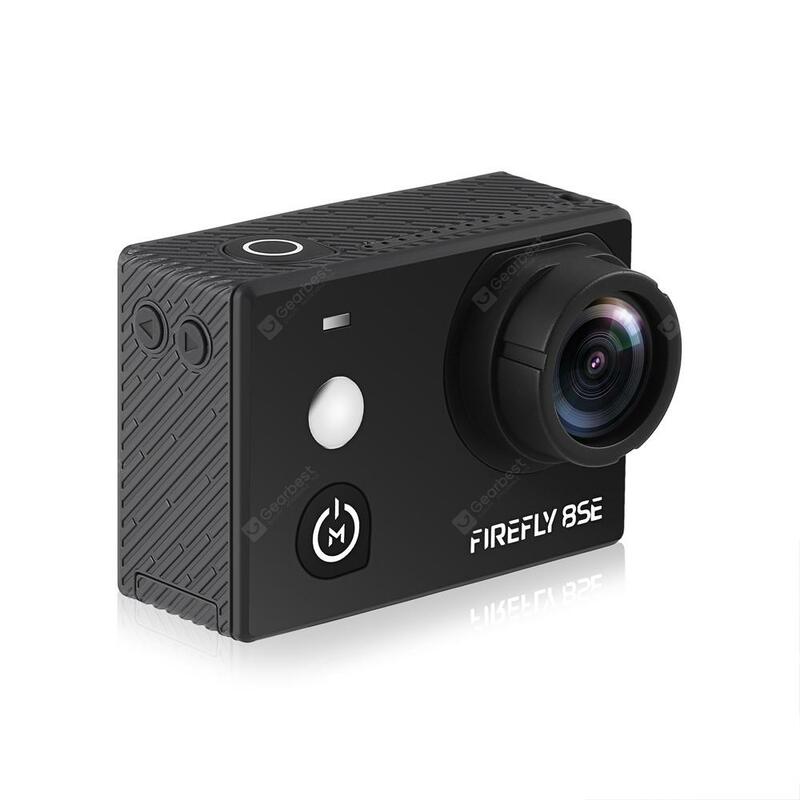 This camera is available at an attractive price on Aliexpress, eBay or GearBest, and if you buy it at the latter, you can still get a dedicated Firefly Bluetooth controller for free. This promo applies to the first 50 orders though, so hurry up and buy it now!